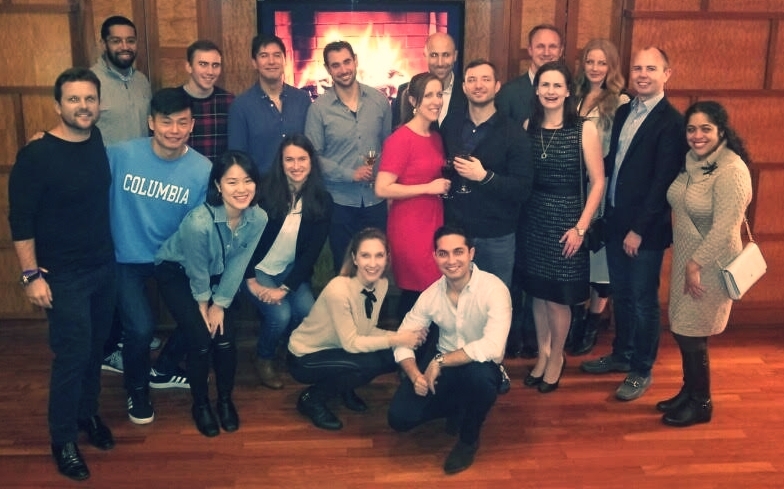 On Tuesday, February 12, 2019 the Feldbergs hosted a Masters in Business event with speaker Karl Dasher (CBS '04), CEO of Schroders North America. 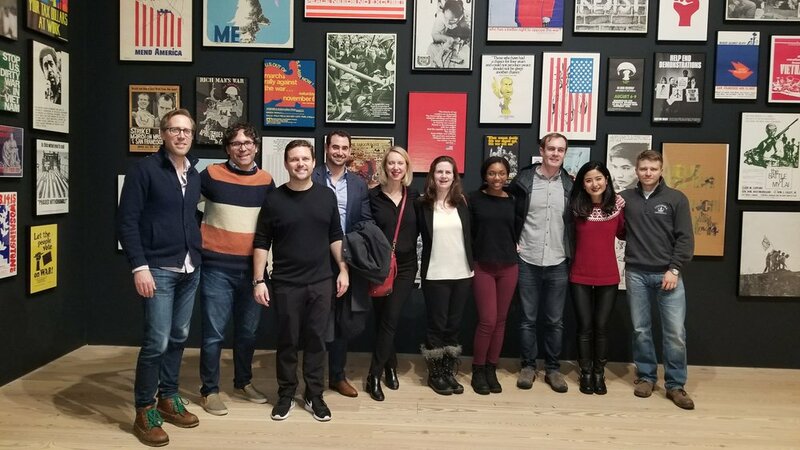 Marina Severinovsky, (CBS-FF '09) helped organize the event, which was also attended by Feldberg Fellows Michael Kopko, Michael Smeets, Lauren Surzyn, Dara Blume, Laura Kornhauser, and Chase Hagin, Feldberg friend Matt Borja, and Schroders Deputy CEO Marc Brookman. 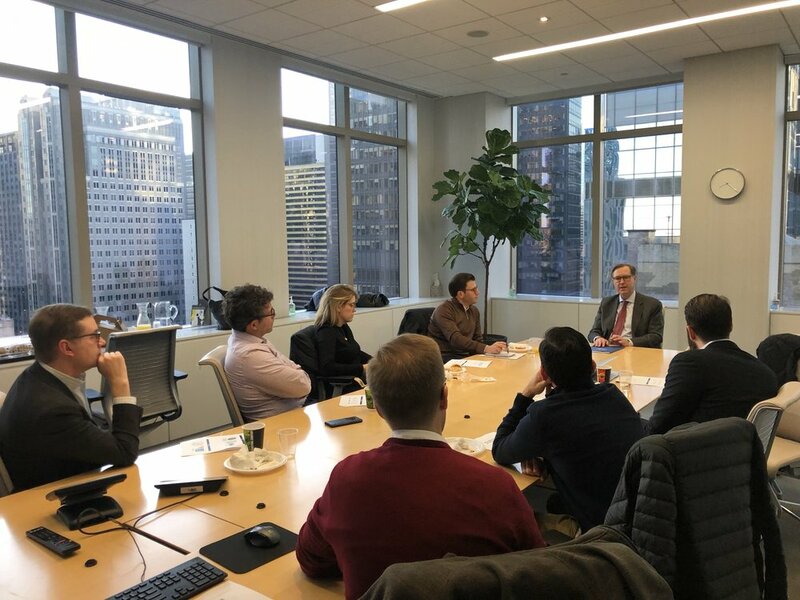 The morning's discussion focused on asset management, Schroders' strategy to build increasing presence in the United States, global macroeconomic trends, and Mr. Dasher's advice on career success. He reminded the group to not be fearful of work that was new and challenging, to work hard, cultivate mentors, and never forget that luck still plays a factor. The Feldbergs thank Mr. Dasher, Marina Severinovsky, and Marc Brookman for a wonderful Masters in Business event. Stay tuned for our next event with Vice Chairman of Bank of America Keith Banks! On the morning of Wednesday, December 19th, the Feldbergs were lucky enough to host the outgoing Dean of Columbia Business School, Glenn Hubbard, for breakfast. Dean Hubbard, who is retiring from the administration (but not academics) in June, shared his opinions on a huge range of topics including the Trump Administration, the state of the US and world economies, the crisis of small-town America, and the state of Columbia Business School. Quite interestingly, he also expounded upon how the states of the country and CBS as a school are intricately tied together. It was truly a privilege to spend some time in this small group setting with the Dean whose views have been informed from his unique perch as a tried-and-true academic, a senior administrator at a major university, and an senior government advisor. It is a bittersweet time for CBS alumns. The Feldbergs themselves almost all graduated under Dean Hubbard and will look on his time as CBS's dean with nostalgia, while looking forward to what the future brings -- including the opening of/move to the beautiful Manhattanville campus for which Dean Hubbard raised over one billion dollars. Importantly, because Dean Hubbard will remain at Columbia as a teacher, his wisdom will continue to inform and help shape his successor's and Columbia's future. Back to School Dinner & Welcome Class of 2020! 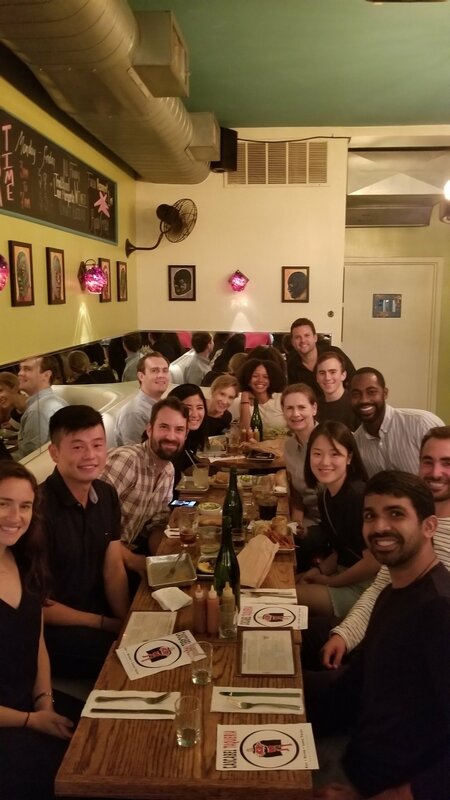 16 Feldbergs made it out to our Back To School dinner at Cascabel Taqueria on the Upper West Side. 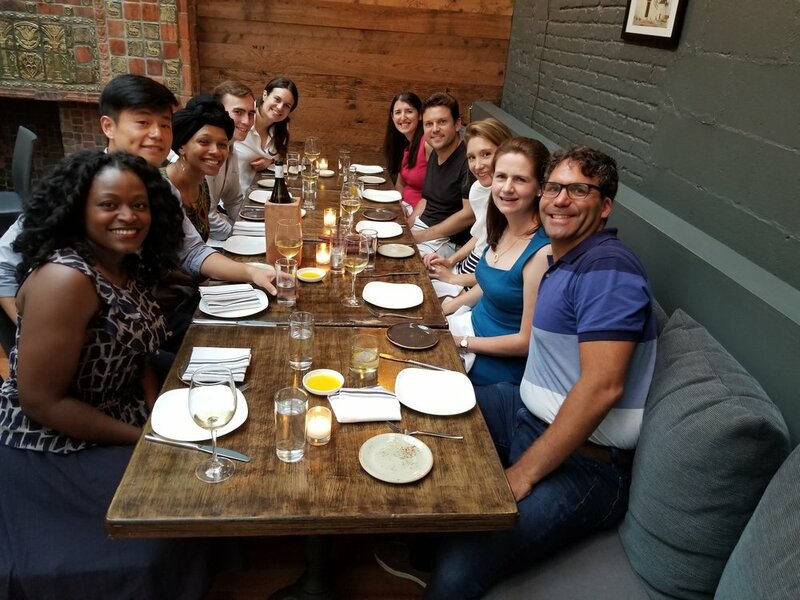 The Feldbergs of the Class of 2020 were out in force (Satoshi Endo and his wife!, Shayna Johnson, Nathan Pilkenton, and Elizabeth Spaulding), and several alumni/ae joined as well! The Feldbergs of 2020 were scheduled for an early morning breakfast at Morgan Stanley with Professor Feldbergs at 7:45am the next day. Our thanks to Cascabel Taqueria for their generous hosting and complimentary shots! Gairy Hall CC'11, CBS'16 wins Gary Sherwin Young Alumni Award! Feldbergs gather at the beautiful home of Russ and Judy Carson.